This message is used by ARIADNA vessels in order to send the envelope/volume of own vessels. Geometry Aft 2 Geometry form of the aft section. See Table Geometry. Geometry Curve 2 Geometry during direction change. See Table Geometry. Geometry 3D Above WL 2 Geometry form 3D above water level. Geometry 3D Under WL 2 Geometry form 3D under water level. Longitude Point 1 28 Longitude in 1/10000min. If rectangle is the geometry used for Aft: Point 1= Point Aft. If the envelope using ELLIPSE as whole envelope Point 1=Point Aft. Longitude Point 9 28 Longitude in 1/10000min. If triangle is the geometry used for bow: Point 9=Point Bow . If Ellipse is the geometry used for bow: Point 9=Point Bow . Longitude Point 10 28 Longitude in 1/10000min. If rectangle is the geometry used for 3DaboveWL and 3DunderWL: Point 10=Point 3DaboveWL = Point 3DunderWL. If Ellipse is the geometry used for 3DaboveWL and 3DunderWL: Point 10=Point 3DaboveWL = Point 3DunderWL. Altitude Point 10 17 Altitude (+/-)40m * 1000. Resolution: 0.001. Longitude Point 11 28 Longitude in 1/10000min. 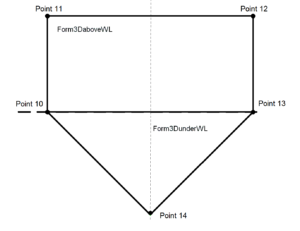 If rectangle is the geometry used for 3DaboveWL: Point 11= Point 3DaboveWL. If Ellipse is the geometry used for 3DaboveWL: Point 11= Point 3DaboveWL. Altitude Point 11 17 Altitude (+/-)40m * 1000. Resolution: 0.001. Longitude Point 12** 28 Longitude in 1/10000min. Point 12= Point 3DaboveWL. Altitude Point 12** 17 Altitude (+/-)40m * 1000. Resolution: 0.001. Longitude Point 13 28 Longitude in 1/10000min. If rectangle is the geometry used for 3DaboveWL and 3DunderWL: Point 13=Point 3DaboveWL = Point 3DunderWL. If Ellipse is the geometry used for 3DaboveWL and 3DunderWL: Point 13=Point 3DaboveWL = Point 3DunderWL. Altitude Point 13 17 Altitude (+/-)40m * 1000. Resolution: 0.001. Longitude Point 14 28 Longitude in 1/10000min. If triangle is the geometry used for 3DunderWL: Point 14=Point 3DunderWL. 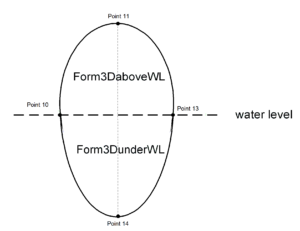 If Ellipse is the geometry used for 3D under WL: Point 13=Point 3DunderWL. Altitude Point 14 17 Altitude (+/-)40m * 1000. Resolution: 0.001. *Only if rectangle is the geometry used for aft. If rectangle is not the geometry used for aft, these parameters will be omitted. ** Only if rectangle is the geometry used for 3DaboveWL. If rectangle is not the geometry used for 3DaboveWL, these parameters will be omitted.